R & R Care disability services present The Big Monster party. 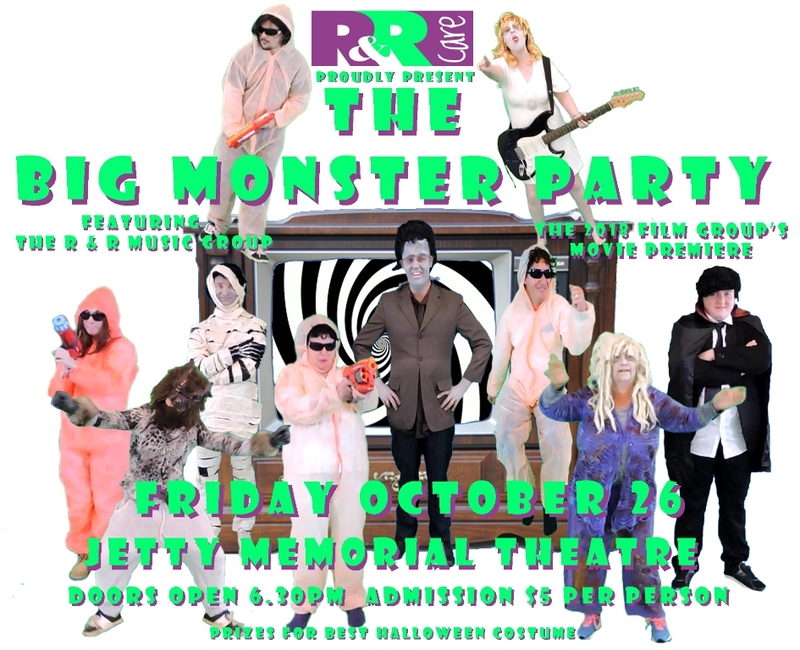 The night will feature a live performance by the R & R music group and the only public screening of the R & R film groups latest movie “Big Monster”. The audience is encouraged to dress in their best Halloween costume and prizes will be awarded for the best costume on the night.